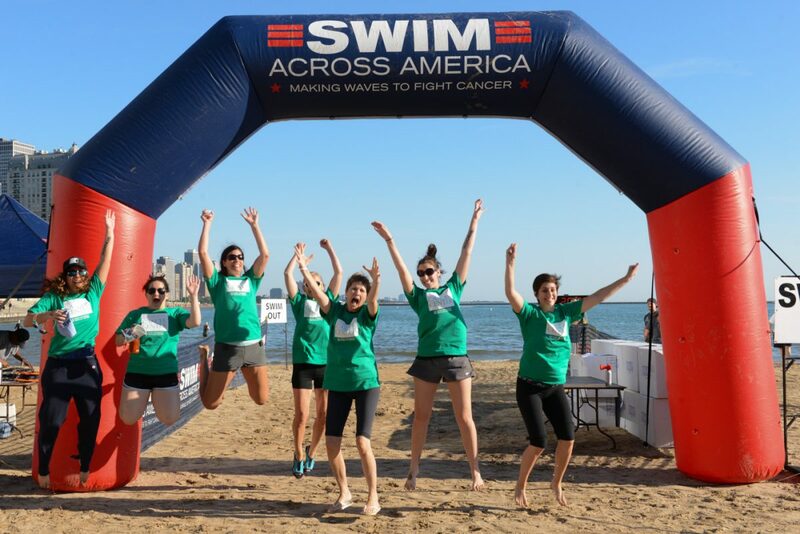 On Saturday, Olympians, cancer survivors, family members and many other swimmers who simply want to get in a good swim for a great cause will go the distance during Swim Across America – Chicago. During this family-friendly event, which will start at 7 a.m. at Ohio Street Beach, participants of all skill levels will complete a .5 mile, 1 mile, 1.5 mile or 3 mile swim, while raising money for cancer research programs at Rush University Cancer Center. Swimmers can participate individually or as a team, and all are to listen to the mandatory safety talk that begins promptly at 7:45 a.m. 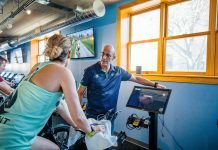 Since 2011, Swim Across America has awarded more than $1.1 million in grants for early stage cancer research to Rush University Medical Center. The Swim Across America Laboratory for Cancer Research and the Swim Across America Patient Procedure Suite at Rush were named in recognition of the group’s support last year. As a national nonprofit that uses swimming to raise money for early stage cancer research, SAA is unique in that the money raised in the community is kept local. Over the past 25 years, SAA has raised more than $60 million nationally. Former Olympians Craig Beardsley (1980 Olympic Team), Christine Magnuson (Olympic double-medalist and Chicago area native) and Jilen Siroky (1996 Olympic Team) are participating in the event this year. Of the $365,000.00 goal, Swim Across America has reached $252,412.67. To learn more about the event or to make a donation, go to the Swim Across America – Chicago web page. Registration takes place here. There is no Swim Across Lake Michigan this year, but one is in the works for 2017. To be added to the list of swimmers or volunteers eager to participate in SALM III, contact Sean Russell.